Which quantity to choose? 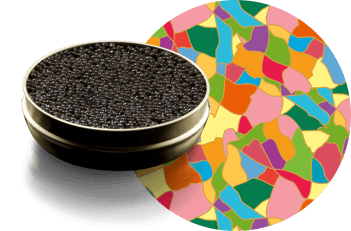 How to enjoy your caviar How to cook your Sturia caviar? If you are discovering the world of caviar, prefer young caviars with sweet flavours such as Christmas caviar (in season) or Primeur caviar. If you are used to eating caviar regularly (once a year or more), choose a mature caviar such as Vintage or Oscietra. If you like strong flavours, if you liked caviar from the past, discover the Origin selection. If you regularly taste caviar, like complex flavours or want to discover new taste horizons, treat yourself to our rare selections: Grand Chef, Prestige or Oscietra Grand Cru.